Policy Analysis: Our in-house staff and outside consultants specialize in very specific areas – housing, assisted living, skilled nursing, etc. – and they are authorities in their fields, ahead of the curve on policy changes and influential issues. They’re here to answer your questions and help find solutions for you on everything from reimbursement issues to surveys, assisted living regulations, Medicaid questions, the state budget and all service line issues. Advocacy: As a LeadingAge New Jersey member, you are part of a powerful, respected and influential force in the New Jersey public policy arena. LeadingAge New Jersey monitors and evaluates regulatory and legislative issues affecting our members, and develops and promotes initiatives related to our mission. Our input is routinely sought by government leaders and policymakers. LeadingAge New Jersey serves as its members’ government watchdog and aggressively advocates on issues that affect senior living and services. Education: LeadingAge New Jersey’s educational programs are designed to meet the diverse needs of professionals in the field of aging. Our comprehensive conference offerings bring in experts from all over the country to some of New Jersey’s most popular venues. Yearly programs include several major conferences, including the Annual Meeting and Exhibition held in the Spring. Other educational programs are tailored for CEOs, financial managers, directors of nursing, directors of social work, as well as activities and recreation directors. Continuing Educational Units are offered for various disciplines including LNHA, CALA, Nursing, Accountancy, Social Work, etc. LeadingAge New Jersey also offers audio conferences and webinars allowing you to keep up on trends, topics and CEUs in a time-saving, cost-effective way. Communication: LeadingAge New Jersey is your direct liaison to the state departments of Health and Senior Services, Community Affairs and Human Services, keeping you updated in real time on discussions and decisions that affect you, your employees and your residents. LeadingAge New Jersey staff members meet on a regular basis with these entities and deliver the pertinent information directly and expediently to you. We keep you informed via our Website, Action Alerts and monthly newsletter. 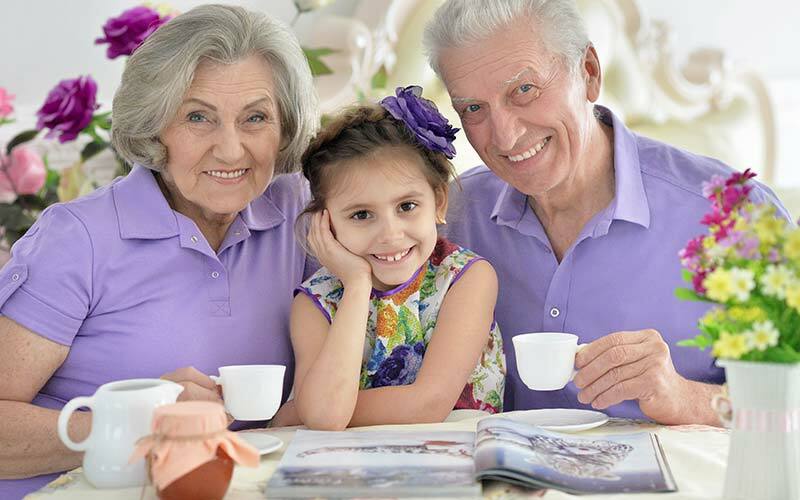 Additionally, LeadingAge New Jersey provides information to the public, press, government officials and regulatory agencies on issues of importance to the non-profit sector. Emergency Preparedness: Our program is designed for all staff of a member facility. We provide training on site for preparedness response and planning, increased security methods and recovery from major disasters. Emergency Preparedness tools such as Electronic Plan templates and Shelter-In-Place videos are available upon request. Membership Meetings: LeadingAge New Jersey’s membership meetings and roundtable discussion groups enable facility staff to interact and participate in discussions specific to the unique concerns of Assisted Living Facilities, Life Plan Communities (CCRCs), Independent Housing, and Nursing Homes. Guest speakers are featured on a regular basis and continuing education credits are offered. National Affiliation: LeadingAge New Jersey maintains an affiliation with LeadingAge, and as such, LeadingAge New Jersey facility members become members of LeadingAge as well. Members receive all benefits and services provided by LeadingAge, including weekly communications, advocacy and representation on the national level, invitations to education seminars and conferences, and participation in the Quality First Initiative. Value First Group Purchasing: LeadingAge New Jersey members can enroll in the LeadingAge New Jersey/LeadingAge Group Purchasing Program at no cost and no obligation to buy. The Group Purchasing Program provides direct cost savings for bathing, housekeeping, food service, maintenance, furniture, medical, nursing, and therapy supplies and equipment, and for services such as health benefits, unemployment claims management, criminal background checks, continuous quality improvement, and more. Peer Networking / Fellowship: LeadingAge New Jersey’s Golf Outing, Annual Meeting, Awards Breakfast, and State Night at the LeadingAge Annual Meeting are among the many popular networking events. Participation provides all members with the opportunity to share best practices and learn about state-of-the-art goods and services for our industry. inQSkilled Nursing Resident Power Survey: LeadingAge New Jersey members can receive an annual inQ Skilled Nursing Resident Power Survey from inQ Experience Surveys at no cost to their communities. The inQ Skilled Nursing Resident Power Survey is a best-practice-based, short-format survey that covers all of the areas in your community that have a significant impact on resident satisfaction – and the likelihood that residents and families will recommend your community to others. Best of all this Survey is available to all LeadingAge New Jersey members at no cost.